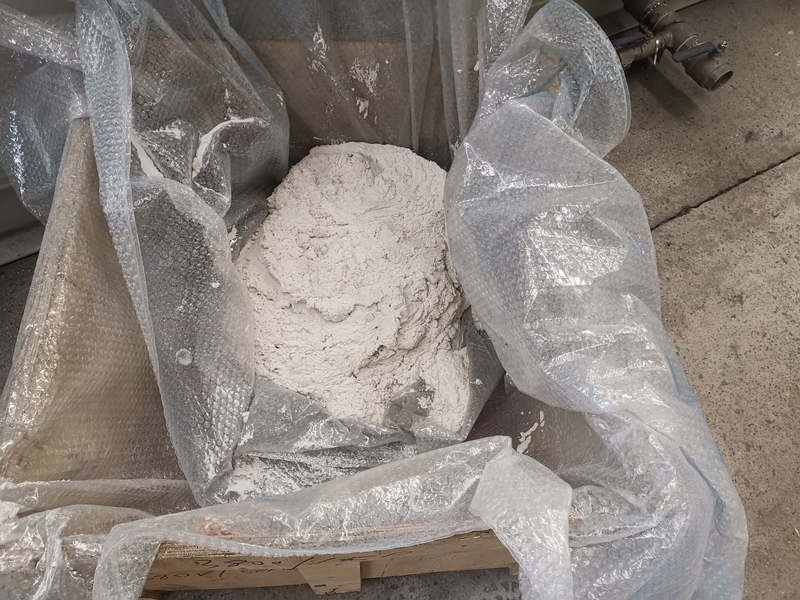 Aluminium Hydroxide Slurry Treatment is always a big headache because of the strict environment policy, and the factories would also prefer to recover the Aluminium hydroxide, which separated and recollected from the slurry, in order to save cost. It always takes long time to apply the approach of Natural Settlement, and also the clients request that the concentration to be 60%~80%, and the the alumina (Aluminum Hydroxide) slurry has a concentration of only 8% to 10%. The Aluminum Hydroxide Slurry Treatment contains water and Sodium Nitrate. 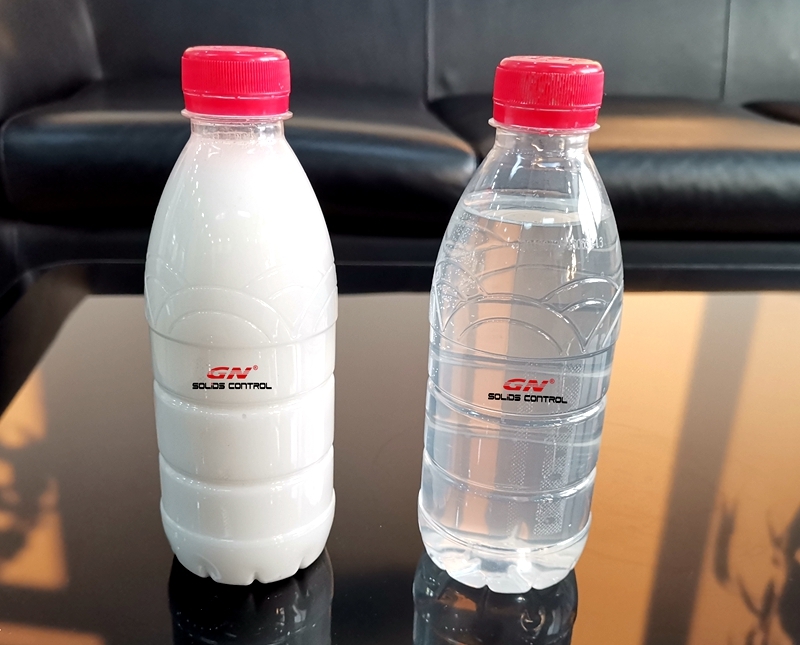 GN Solids Control offers an Economy and Convenient approach for Aluminium Hydroxide Slurry Dehydration/Dewater/Dewatering, it is Decanter Centrifuge. 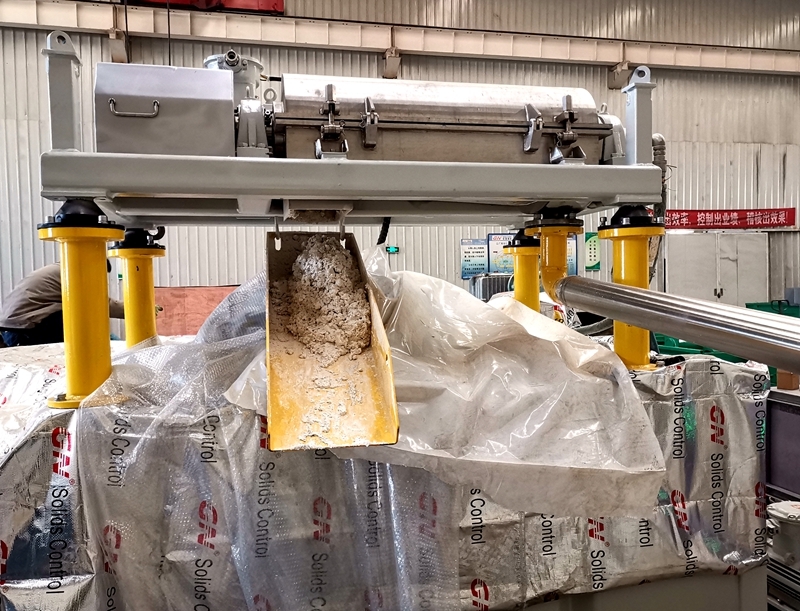 The Procedure shown as above pictures, the slurry are feed into Decanter Centrifuge, where solid and liquid would be separated, and the Clean water and Dry Solid would be discharged from different port. The Solids Discharge Port is made of Tungsten Carbide Insert, which it is anti-abrasion, and it would extend the working hours. 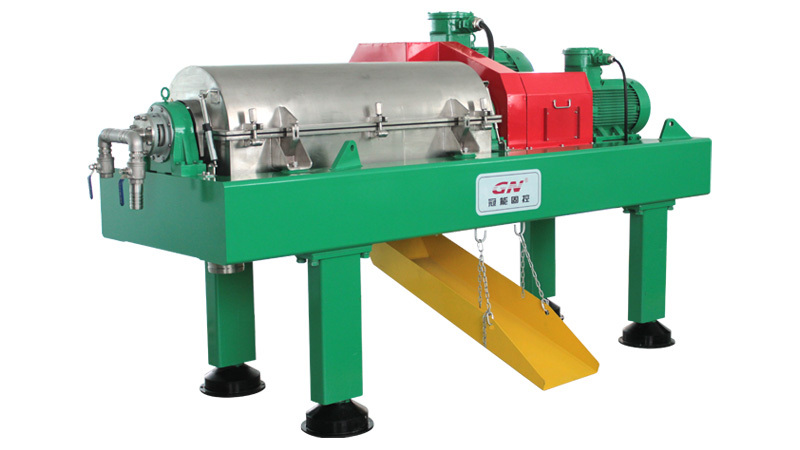 GN focus on manufacturing Decanter Centrifuge for 11 years, and has 220, 360, 450, 550, 760 series, with capacity ranging from 100 L/min to 120 m3/h, for the clients to choose based on their specified requirement. GN supplies about 200 sets of Decanter Centrifuge every year, with 70% for International Market, widely used for Solid-Liquid Separation, and dewatering projects. GN also manufacture and supply feeding pump, for feeding material into the Decanter Centrifuge.